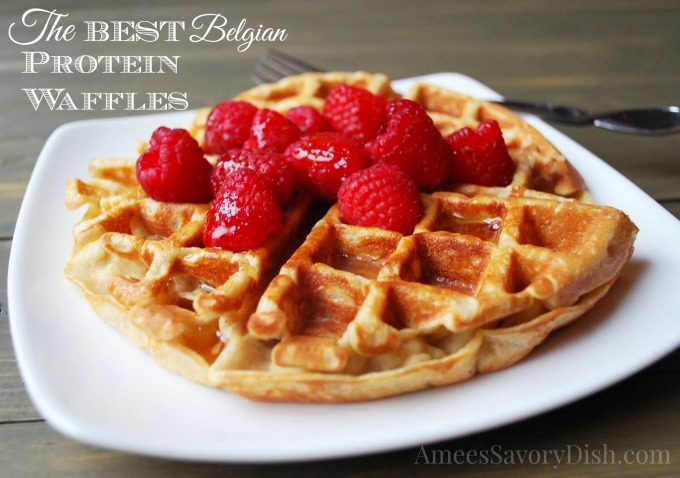 This recipe for Belgian Protein Waffles might be the last waffle recipe I ever make. Nah, just kidding, I can’t stop trying new recipes! 😉 In all seriousness, these waffles are really amazing, so if nothing else ever trumped them, my taste buds would still be happy. These protein waffles are made with quality, clean-eating protein (no protein powders here) and turn out super tasty. Place all ingredients into a blender (I use my Blendtec), except egg whites and blend until smooth. Beat egg whites in a stand mixer until stiff peaks start to form. Gently fold egg whites into blended mixture until just combined. Preheat waffle iron. Let batter sit for 5-10 minutes, then pour about a cup of batter into a greased waffle iron and cook until set. 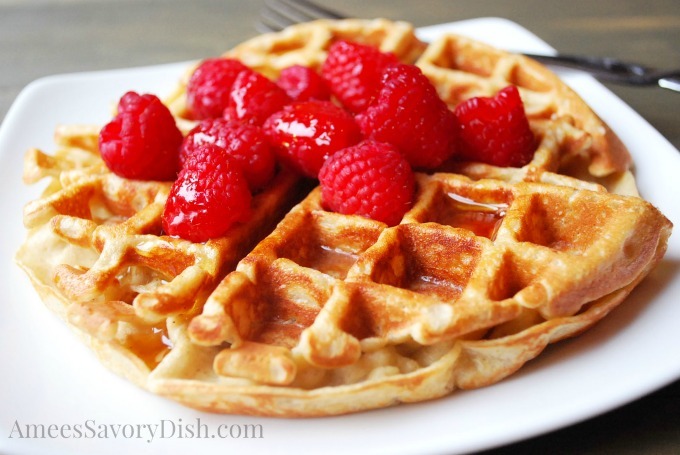 I used a belgium waffle maker for this recipe, but a regular waffle iron will work fine, too. Just adjust the amount of the batter to the size of your waffle iron plates. Clean healthy easy to make food ! This is what we need in our lives more often ! Thanks for the article ! Woow!! what’s a yummy recipe? I love to make waffles with my waffle iron. Your recipe is delicious and the way you describes is very easy. Definitely, I am to prepare this recipe tomorrow.